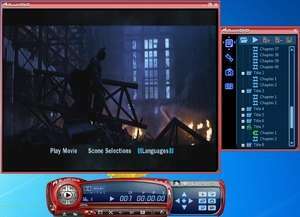 The standard, free version of Blaze DVD is an outstanding DVD and Blu-ray player for the PC which for a freeware program, surpasses expectations. The overall interface of this player has a lot going for it and it really makes your PC look extremely professional when playing back your movies. Though if you consider the features you're missing out on from the full version of Blaze DVD, you might be disappointed with the free version. For starters, the free version provides a clear picture with acceptable audio, but you must have some type of codecs already installed on your system. Version 7.0.2 is a freeware program which does not have restrictions and it's free so it doesn't cost anything. For security reasons, you should also check out the Blaze DVD Free download at LO4D.com which includes virus and malware tests. Additional screenshots of this application download may be available, too. Blaze DVD Free has a presence on social networks.